Check out our latest interviews & featured articles! When Snow Villain came across our desk here at The Celebrity Cafe, we had no idea what to expect. What we got was an EP covering a wide range of rock subsections. From ’90s grunge to late-decade angst and upbeat near-folk themes to pointed political statements, this collection covers the gambit. However, despite the variety, it is clear that these are all facets of the same creative force. 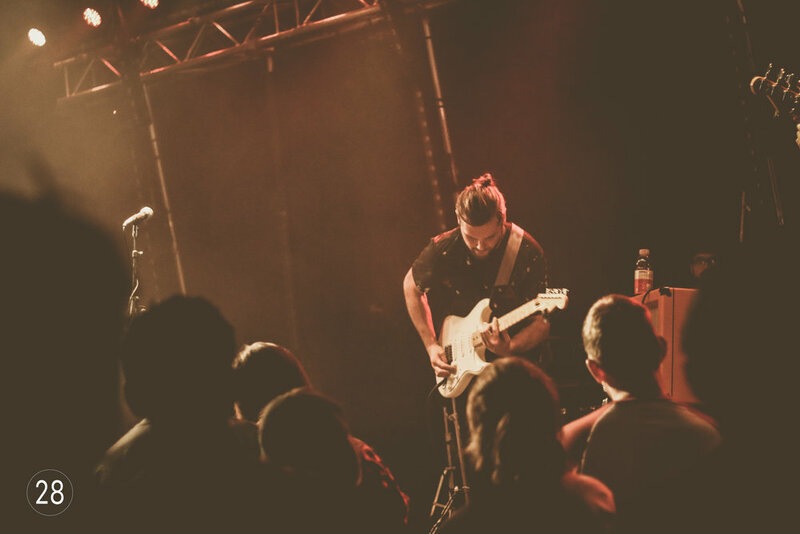 It rapidly became apparent that frontman, songwriter and guitarist Grant Goldsworthy has something interesting to offer the modern music community. NY-based alternative rock project Snow Villain has just released the new single ”Torches”, ahead of the upcoming EP 1 which is scheduled to be released April 27, 2018. All of the music that has been released by this group has featured raw, real sounds that highlights an honest view of central figure Grant Goldsworthy’s life while writing all of the music. Not only are the vocals perfectly adapted to match the rawness of the instrumental artistry, but the guitar riffs radically enhance the listening experience and bring exhilarating energy into the room. Unlike their other releases in the past, “Torches” has made the group dig deep inside themselves in order to portray the emotion behind the lyrics of this track. New York-based alt-rock project, Snow Villain has just released the music video for their song, “I Don’t Know.” The track has been released before their upcoming EP due April 27. Vocalist Grant Goldsworthy has been involved in the music industry for almost 15 years and has performed with different bands across Pennsylvania, Washington DC, Boston and New York. Based in Central Pennsylvania, Goldsworthy started to play with other musicians around Philadelphia, New York and Harrisburg, and decided it was time to initiate his own project as Snow Villain in 2015. Music for thought, anyone? Snow Villain’s new track “Torches” introduces a juxtaposition representative of the state of politics. If you’re ready to hear it, you can check out our exclusive premiere below. Snow Villain (aka Grant Goldsworthy) creates a sound that pulls influence from acts like Death Cab For Cutie, and also Weezer. “Torches” is just the first stop on the Pennsylvania artist’s 2018 trajectory. With plans for a collection titled EP1 on April 27th, and plenty of new material and shows leading up to it, it’s looking like this might be his biggest year yet. In this interview spotlight, I chat with Snow Villain about motivations, the newest release, challenges and more. Where are you from and what style of music do you create? I grew up in Central Pennsylvania, where I’ve cultivated and developed my skills in the music industry. I have about 15 years of experience and I’ve performed with different bands across Pennsylvania, Washington DC, Boston and New York. Grant Goldsworthy’s alternative rock project, Snow Villain, released the video “I Don’t Know” ahead of the upcoming EP due out April 27th, 2018. Goldsworthy has been involved in the music industry for almost 15 years and has performed with different bands across Pennsylvania, Washington DC, Boston and New York. Based in Central Pennsylvania, Goldsworthy started to play with other musicians around Philadelphia, New York and Harrisburg, and decided it was time to initiate his own project as Snow Villain in 2015.